Don't have Online Banking yet? Our CUA Everyday Account comes fully loaded with features, designed to make your banking easier. 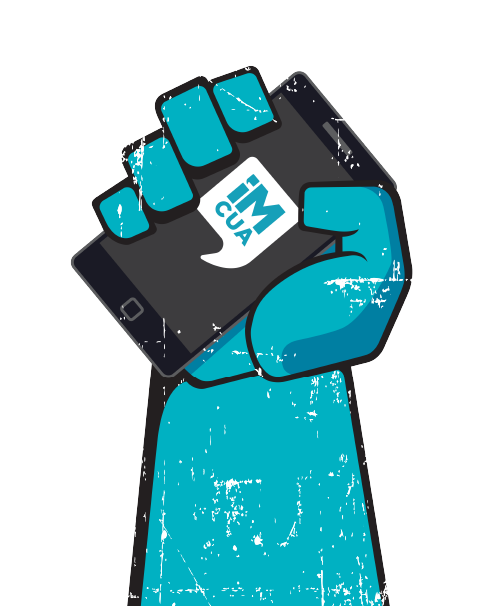 Chat to your own CUA Personal Banker at a time that suits you with the iM CUA app. Have the power to pay through your phone and make super-fast payments from here, there, and pretty much everywhere with the New Payments Platform (NPP) available in mobile and online banking. Chat to your own CUA Personal Banker anytime, anywhere with the iM CUA app. Pay back family and friends super-fast with The New Payments Platform (NPP). Have the power to pay through your phone with Google PayTM, Apple Pay and Samsung Pay. With $0 monthly account fees there's more to spend on the things you want. Plus, access to over 10,000 free ATMs across Australia. Deposit $1000 or more into your CUA Everyday Account each month and earn bonus interest on an eSaver Reward Account. Complete our online application and we'll check your ID. If your ID check can't be completed online, don't worry - we'll help you with the next steps. Once your account has been opened, your CUA Visa Debit card should arrive in the mail within 7 days. We can help you to switch your salary and regular payments to your new account. To open a CUA Everyday Account you must be aged 18 or over and be an Australian resident with an Australian residential address. Rates current as at 11 April 2019 and subject to change. Your needs and financial circumstances have not been taken into account. Terms and conditions are available on application. Other fees and charges may apply. A General Information, Terms & Conditions brochure and Schedule of Fees are available online or from your local CUA branch. You should read both these documents before deciding whether to purchase this product, issued by CUA. Apple Pay works with iPhone 6 and later in stores, apps, and websites in Safari; with Apple Watch in stores and apps; with iPad Pro, iPad Air 2, and iPad mini 3 and later in apps and websites; and with Mac in Safari with an Apple Pay enabled iPhone 6 or later or Apple Watch. For a list of compatible Apple Pay devices. see support.apple.com/km207105. Apple, the Apple logo, Apple Pay, Apple Watch, iPad, iPhone, Mac, Safari, and Touch ID are trademarks of Apple Inc., registered in the U.S. and other countries. Google, Google Pay, and the Google Logo are trademarks of Google Inc.
Devices compatible with NFC point of sale terminals for contactless transactions include Samsung Galaxy Note 5, Galaxy S6, Galaxy S6 edge, Galaxy S6 edge+, Galaxy S7, Galaxy S7 edge, Galaxy A5, Galaxy A7, Galaxy S8 and Galaxy S8+. All devices are compatible with MST point of sale terminals for swipe transactions except for Galaxy S6, Galaxy S6 edge and Gear S2. Deposits up to $250,000 per account holder are guaranteed by the Federal Government under the Financial Claims Scheme.